That parents, through their involvement in the school, be reinforced and strengthened in their rightful role of leading, guiding and moulding their children's lives. To promote partnership and unity between parents, caregivers, staff, the Board of Trustees (“BOT”) and the wider community. 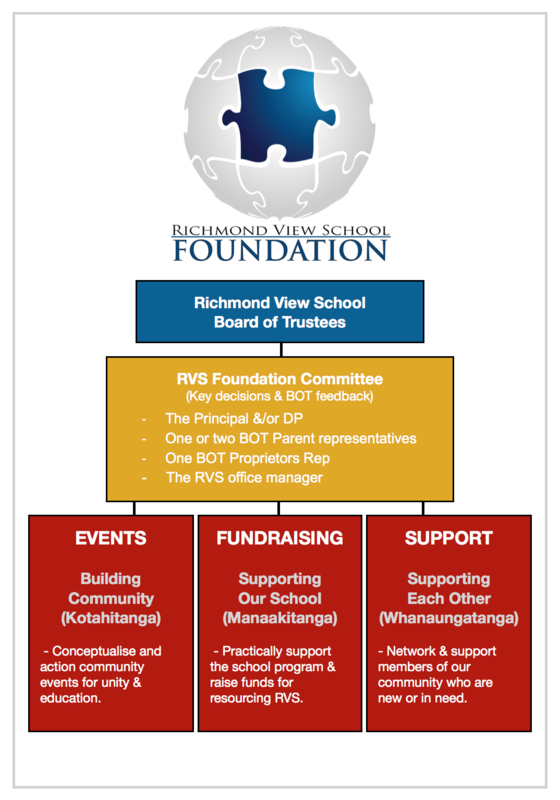 To raise funds for material resources for the school, in line with the RVS Fundraising Policy. To facilitate parent help with school projects and community pastoral support. The governing committee will define areas that need resourcing and areas where extra input could build community. Decisions on how best to action the previously defined areas will be done in conjunction with interested members of the parent community. Members of the parent community will be given the opportunity to lead some of the initiatives. The committee will meet several times per term and will use the normal school communication routes to stay in contact with whānau and the wider community.